TIMBERLAND PRO. 65030. DIRECT ATTACH 6 SOFT TOE. WHEAT NUBUCK.These insulated waterproof leather boots are made using direct-attach construction for a watertight seal that s guaranteed to keep feet dry and comfortable. Lightweight high-lofted quick-drying moisture-resistant Thinsulate insulation keeps feet warm in any weather. 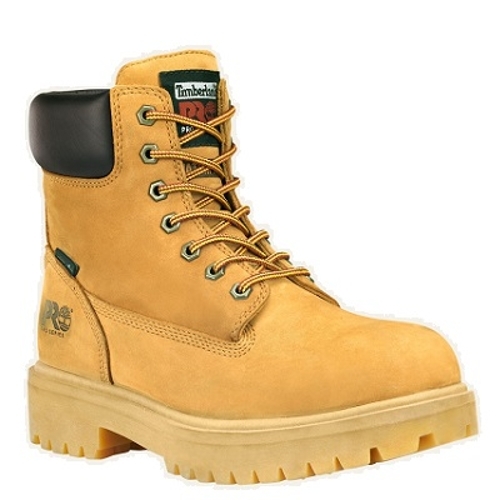 Our workboots with Electrical Hazard Protection meet ANSI Z41 PT99 standards to provide protection from open circuits. Removable contoured polyurethane sockliner for lightweight comfort and a lightweight PVC midsole for cushioning.